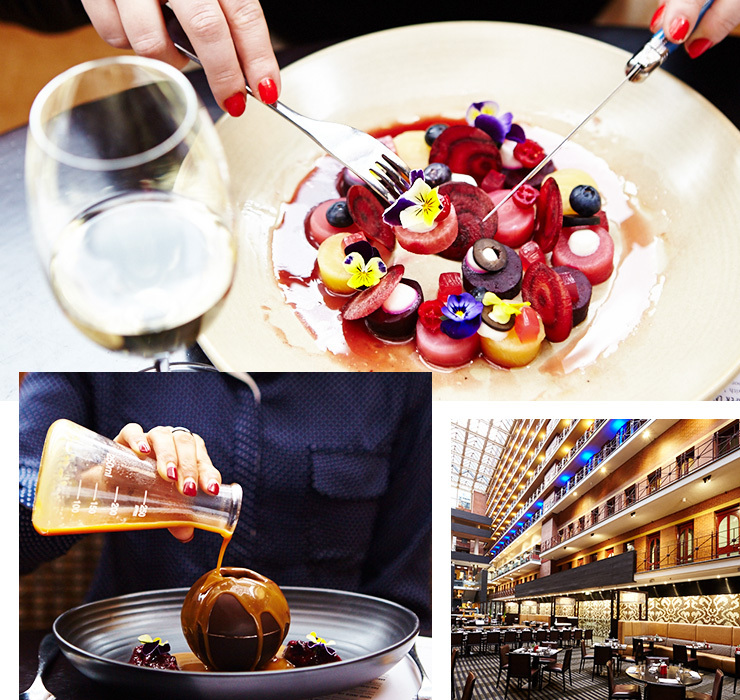 There’s nothing better than sitting down to a mouth-watering meal at one of Melbourne's top restaurants and getting a little something extra for free. And we’re not just talking that extra portion of hollandaise (although that always goes down a treat, too). That’s right, we’re talking wine. FREE wine. Thanks to our friends at Citi—who are all about helping us get more out of life, while stressing about money less—and their incredible Citibank Dining Program, you can receive a free bottle of Australian wine at eight of the city’s most delicious restaurants. All you need to do is show your Citi card, choose your tipple, and pay for the meal using the same card—no fees, no strings, and no guilt about indulging. The easiest drink you’ll bag all year? We think so! 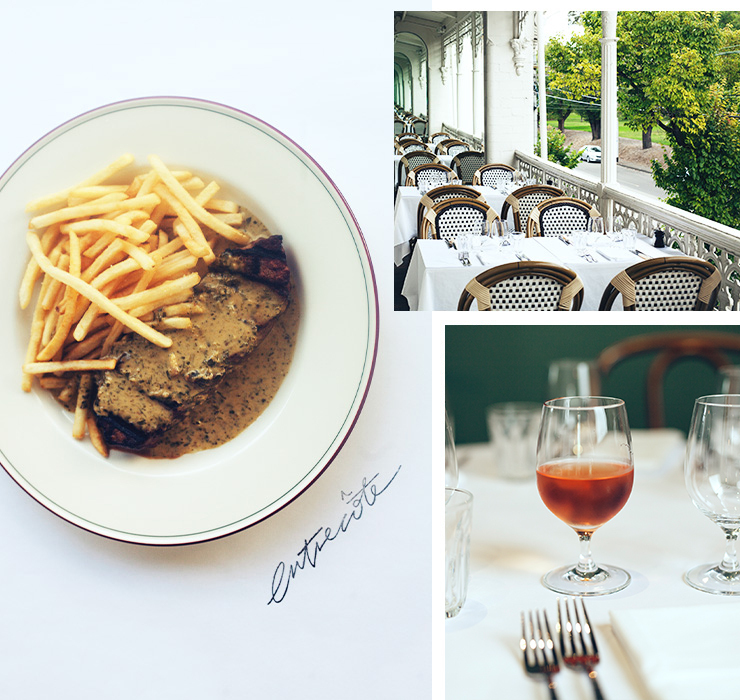 There has never been a better excuse to hop into one of Entrecôte’s gorgeous restaurants. If you’re there for lunch or dinner, don’t leave without a serve of their famous Steak Frites with pink grilled O’Connor Porterhouse topped with Maison au beurre et aux herbes and frites. Paired with a glass of (free) red wine for Citi cardholders, this meal practically pays for itself. It’s impossible to go wrong with Scugnizzo’s fresh, rich menu. From flawless al dente, house made pappardelle with pork and fennel sausage, assorted mushrooms and a seeded mustard and cream sauce to a velvet-soft T-bone steak with mash and oregano dressing, Scugnizzo makes date night easy. Melbourne might still be finding its feet when it comes to Burmese food, but if Burma Lane is a any indication, we’re well on our foodie way. Expect fragrant, richly spiced dishes like lamb ribs marinated in coconut cream and oriental dressing, or fat spicy prawns with smoked eggplant, peanuts, coriander and sesame. Burma Lane’s twist on the classic affogato made with Sang Som Rum, condensed milk ice cream, Vietnamese coffee and Chinese crullers is non-negotiable. Just in case you needed another reason to gobble down another serve of Red Spice Road’s addictively crispy pork belly with apple slaw, chilli caramel and black vinegar, Citi has you covered. We love the fragrant pandan custard with toasted hazelnuts, coconut meringue and kaffir lime to finish. Unlike its name, Meat Fish Wine is anything but frill-free. Stroll through the glowing, rib-caged archway into a dining hall that glimmers with quiet elegance. For any occasion (aka Friday night), the set menu is an ideal combination of share-friendly entrees, protein-heavy mains and delicate desserts. Otherwise, stick to the script by ordering tender, locally sourced steak or buttery barramundi. Plus a complimentary bottle of wine for any Citi cardholders makes the bill extremely date night wallet-friendly. 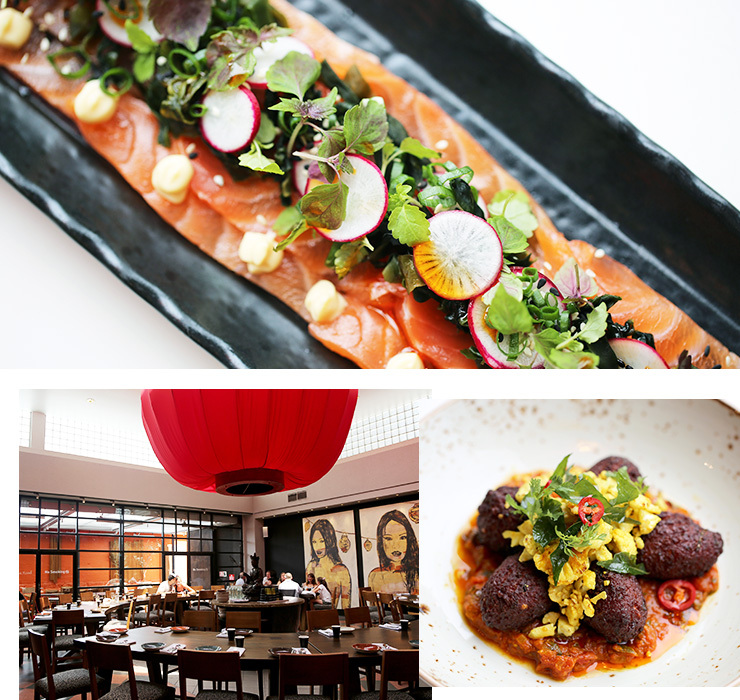 Head to Alluvial for luxury dining that isn’t a bank breaker. Expect impeccably refined dishes like steeped heirloom beetroot with winter berries, Greek yoghurt, black olives and spiced red wine vinaigrette. Creamy squid inked linguine served with plump tiger prawns, seared truss-tomato, basil, garlic and mild chilli is a must for any pasta connoisseur. For dessert, decadent options like the (rather specific) 53.8% Belgian Chocolate Sphere with cookie crumble, berry compote, caramel sauce, and raspberry sorbet is a must. You’ve saved on the drinks, after all. From fluffy steamed buns packed with crispy barramundi, picked onion, cucumber kimchi and Ssamjang mayo to crispy duck leg with noodles, white radish, sugar peas and fragrant broth—ordering is the best kind of mental marathon at Red Spice. Otherwise, let the team do the thinking for you with one of their lunch or dinner banquet sets. Buttery almond croissants, towering cronuts and pillow-soft ricotta pancakes? It’s all at Oakleigh’s humble café-bakery hybrid, 5Five Bakehouse Kitchen. Pair it with your favourite flaky pastry for an afternoon treat, or their roasted filled mushrooms slathered with goats cheese, pesto, and truffle for a luxe lunch. For more information about the Citibank Dining Program, check out their website. Looking for more foodie food hacks? Check out Melbourne's Best Food Hacks For Lazy Foodies! Editors note: This article is sponsored by Citi and proudly endorsed by The Urban List. Thank you for supporting the sponsors who make The Urban List possible. Click here for more information on our editorial policy.